We do a lot of things with our smart phones, and one thing industry experts expected by now was that more people would be using their phones to pay for purchases. Some technological advances have helped this, but one major problem has been the fact that both the user and the retailer need NFC-enabled devices to make mobile payments work. NFC technology isn't on all phones, and many retailers don't have the technology in their payment terminals. Therefore, there's not a critical mass of people using their phones to buy things. Now a new company named Loop has closed the loop, so to speak, on this problem with its LoopWallet app and devices. Loop works by storing your card information on your phone and then instead of swiping your card in a retailer's card reader, you use a special device called the Loop Fob that you tap against a retailer's card reader in order to pay. So what makes this better than just using your credit card in the machine? Well, for starters, this is a step toward making mobile payments more of a possibility. Mobile payments could be the wave of the future, if only everybody had Near Field Communications (NFC) technology to make them work securely. Not all cell phones contain NFC technology, and retailers would also need to have a device that would use it--and retailers are not always willing to spend money on upgrading their payment terminals if not many people will use NFC. 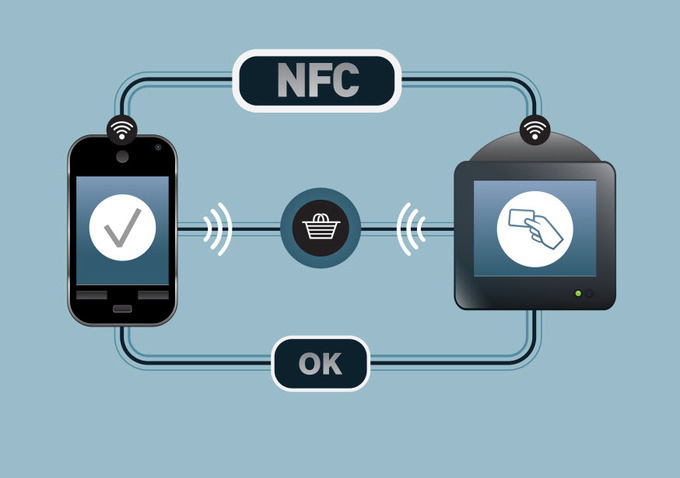 The Loop system bypasses the need for NFC technology by using a magnetic induction loop in order to get information from a wallet on your phone to the payment reader. To use it, you need to download the Loop Wallet app, then you can add all of your credit card information to it by swiping the cards through the fob. The Loop system also allows you to add gift cards and rewards cards to your account. All of this information is encrypted for security, and the account is structured so that only the user can get into it. The app also locks, and the Fob can be put on a timer lock as well in case it gets lost. To use the system, you plug the Loop Fob into the headphone jack on your phone, pull up the app and select a card, press a button and hold it over the magnetic stripe swiping area on a payment terminal. The payment information is transmitted through the fob to the payment reader. Beyond using your phone for payments, this system allows you to carry fewer cards in your wallet, which makes getting around a little more manageable and leaves you less vulnerable in the case of thefts. Paying is also a little bit easier because you don't have to dig into your wallet for the right card, swipe it and put it back. With a Loop Fob you can tap your phone to pick the card you want to use, then touch it to the machine. To make payments even quicker, you can choose a default card to use for purchases, and then you don't even have to use your phone--you can just tap the Fob against the card reader. Loop says its device will work with 90 percent of merchants--but it doesn't work well with gas stations because of the need to actually swipe a credit card when you pay at the pump. Therefore it recommends you carry a back up card to swipe when needed. The Loop Fob costs $39 and comes with a USB charging cable and a foam gel plastic bumper that protects the device. Currently only available for iPhones 4 and up, an Android compatible Fob and app will be released in the second quarter of 2014. Loop is also taking pre-orders for the Loop ChargeCase. Compatible with iPhone 5 and 5s, this protective case comes a magnetic stripe reader built into it for use in loading card information into the Loop app. The case contains the same information as the Fob, but you only need to hold your phone over the payment terminal. The case costs $99.